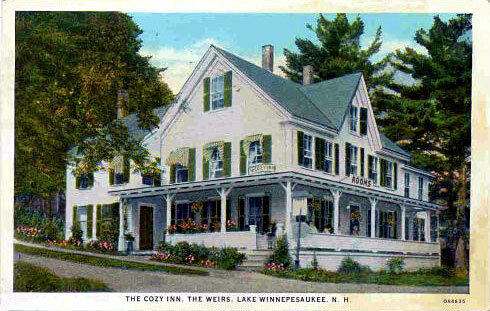 A circa 1920’s colorized postcard of the Cozy Inn. Note the older spelling of the Lake. It was not until 1933 that the spelling of the Lake was standardized.